Studio Volop, is a partnership between Volken de Vlas and Gerard de Hoop. We conduct research into the use of (re-) extractable raw materials from natural sources, waste streams, and residual products from industry and agriculture. 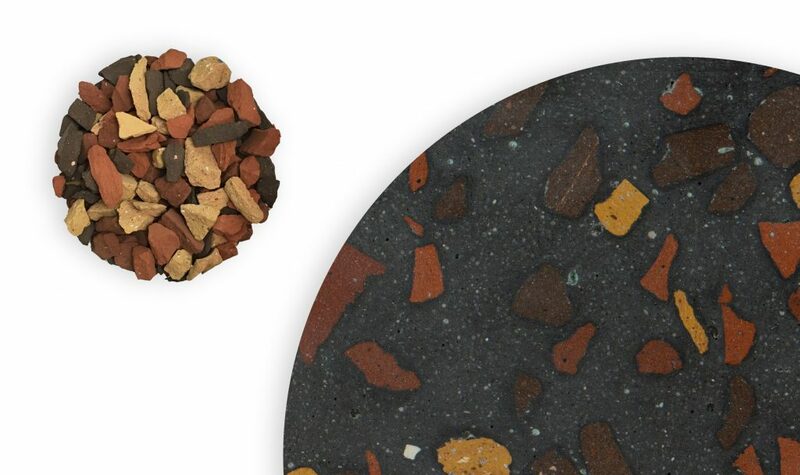 Development of new circular materials for applications in architecture and product design. 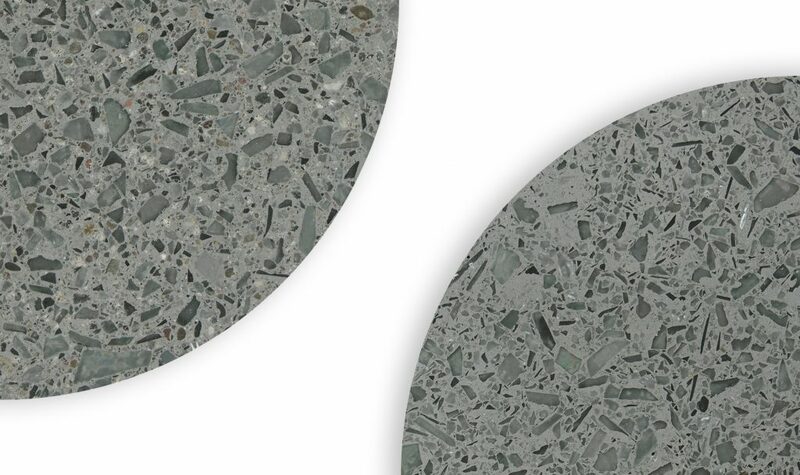 Research into the development of sustainable regional terrazzo. 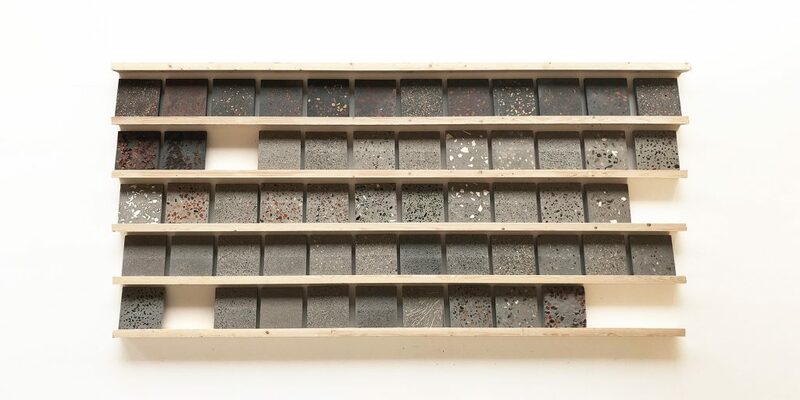 Experiments are carried out with supplements from local waste streams such as brick debris and glass, residual flows from industry and agriculture such as straw and hemp fiber, and (re-) extractable natural raw materials such as shells and pebbles. In addition, masonry granulate is used that comes from buildings from the Province of Groningen that is being demolished in connection with earthquake damage. Research into the development of circular concrete. 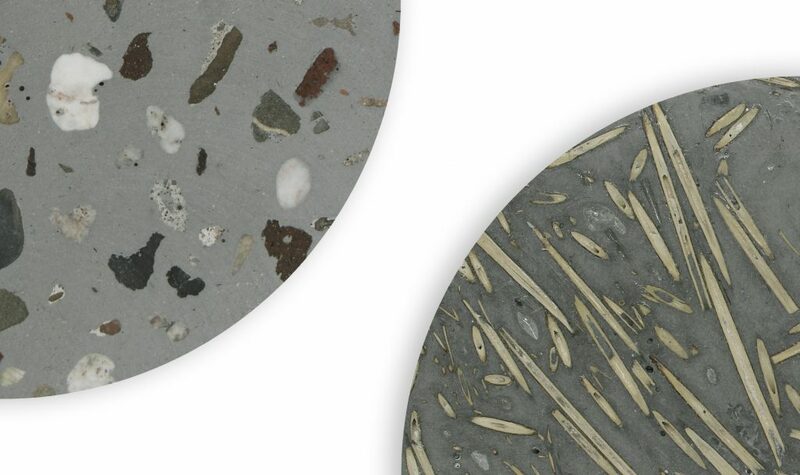 Experiments are being carried out with recipes for concrete whereby the traditional (new) cement, sand, and gravel is replaced by re-use of crushed demolition concrete in various fractions such as concrete sand, concrete granules, and concrete rubble. Successful recipes are used as a basis for the development of Diggels.